Elon Musk’s bold idea for a subsonic train may not be as far-fetched as it seems. The stuff of science fiction, surely; but in the end analysis, perhaps more science than fiction. It isn’t the technology of Musk’s ability to complete the Hyperloop that is in doubt. Instead the problem is “rapidly” as in nothing is ever rapidly when it comes to government permits and infrastructure. In 1863 Jules Verne wrote a novel called “Paris in the 20th Century.” His projected 1960s setting described a dystopian future where culture lagged behind technological advances. Among the many technological wonders were internal combustion powered cars, powered vehicles, glass skyscrapers, high-speed magnetism and compressed air powered trains, electrically illuminated cities, elevators, fax machines, computers and an internet-like communication system. Verne’s publisher considered these advances so unthinkable, he refused to release the book. Sometimes great ideas are ahead of their time. Is it possible that Hyperloop will fail to be built, because bureaucrats lack the imagination to be willing to go forward? Perhaps, but usually science wins out. Just as the last 150 years have validated Verne’s bold imagination, almost daily, we see technology turn science fiction into science fact. 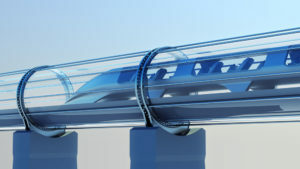 In 2013, Elon Musk, of Tesla and Space X, presented a bold idea for a vacuum-and-maglev-powered hyper speed train that would travel through a tube. Under the plans, the Hyperloop would transport passengers in aluminum pods traveling up to 760 mph. In truth, Musk’s idea is a revisualization of a 1910 design by American rocket pioneer Robert Goddard. Although never built, Goddard’s design showcased a train that floated on magnets inside a vacuum-sealed tunnel and would travel from Boston to New York in just 12 minutes. In a 2013 white paper, Musk presented the concept of the Hyperloop and issued a challenge to other tech companies to commercialize the project. At the time, Musk had too many irons in the fire to chase that particular dream. Several startups enthusiastically took the bait. 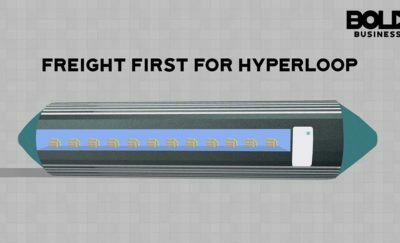 Hyperloop One (Shervin Pishevar, co-founder and executive chairman) and Hyperloop Transportation Technologies (HTT) (Dirk Ahlborn, CEO) appear to be the closest to making the Hyperloop a reality. Ahlborn expects to see a working Hyperloop propelling passengers across vast distances in pods at speeds of up to 750 miles per hour within the next three or four years. In fact, as evidence, in January 2017, a group of MIT students demonstrated that physics and engineering supported the viability of the Hyperloop by building a reliable pod that is capable of magnetic levitation and tube travel and is scalable. However, in spite of positive statements from Musk and his Boring Company spokesperson about “receiving verbal support from key government decision-makers for tunneling plans, including a Hyperloop route from New York to Washington DC,” much more concrete steps must be taken to make the Hyperloop happen. Those steps take considerable time and money. So imagine Musk’s bullet train speeding through the Hyperloop at 750 mph then bam, that vision runs up against a bureaucratic wall. That is more likely the reality the seemingly fantastical idea faces. To get approval to build gigantic, multi-billion dollar, multi-state infrastructure projects in the US America requires overcoming a series of enormous hurdles. First, the players in every municipality along the route must buy into the project, and property must be procured. 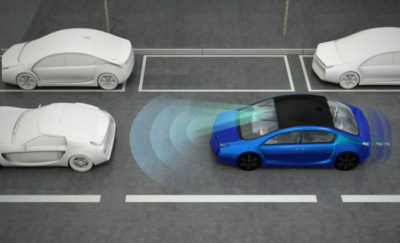 Musk is hoping that ginning up support for the idea among the commute-weary populace will generate enough heat to get the politicians on board. But that’s just the first hurdle. Feasibility and environmental impact studies must be conducted. The project must comply with the appropriate federal and state regulations, and necessary permits obtained. And then there is the not so small task of acquiring financing for a project that could require billions of dollars. All in all, decades could easily pass before the first shovel full of dirt is turned over. Is this a bold idea, that will be delayed in action for years to come? 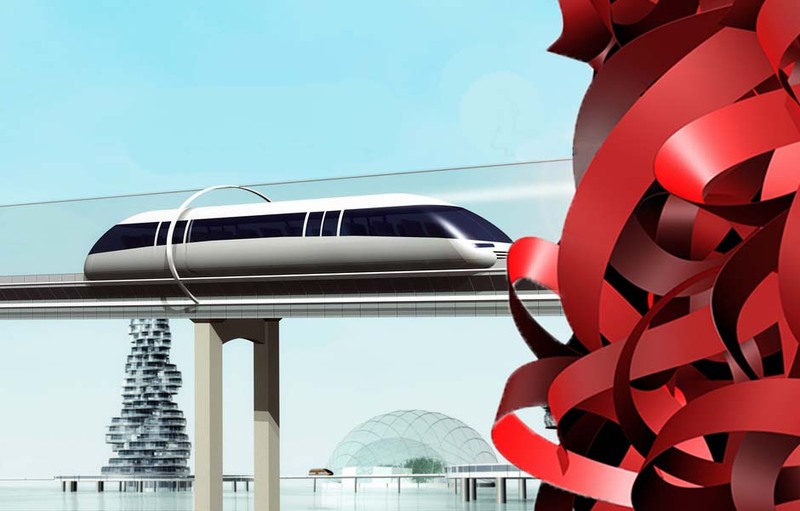 Writing for Bloomberg, Virginia Postrel suggests the Hyperloop is doomed for the worst reason. Bold Business has to ask, will bureaucracy prevent science fiction from becoming science fact?